Capture, record anything on your screen to image, video, Flash. Is there a better alternative to ScreenCapture? Is ScreenCapture really the best app in Author Tools category? Will ScreenCapture work good on macOS 10.13.4? 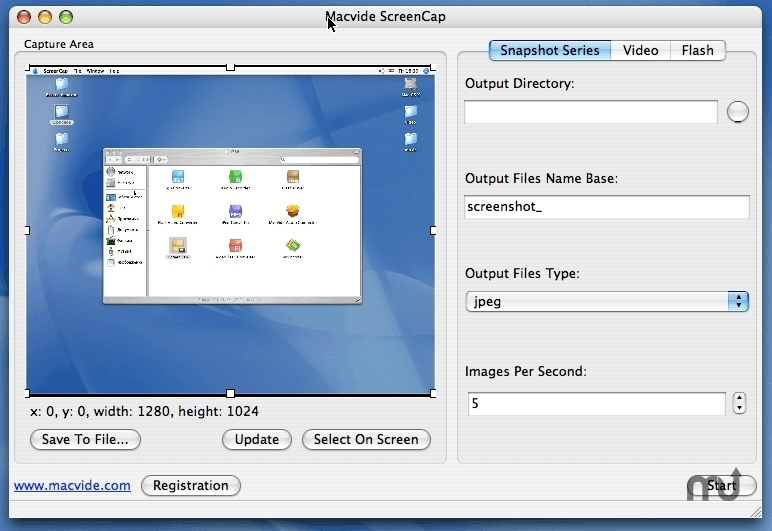 ScreenCap allows you to capture and record anything you can see on your screen to image, video or flash. You can record audio from your desktop as well as you hear or from microphone or another compatible device. This tool useful for creating visual tutorials or use like a monitoring device. Grabbed screens can be store in many formats like single frames, timed screenshots or video movie like mov or flash video. ScreenCapture needs a review. Be the first to review this app and get the discussion started!